Check out the exclusive offers (you really won’t find these ANYWHERE else!) and get the deals that will make your fill your trip without emptying your wallet. Check out the exclusive offers (you really won’t find these ANYWHERE else!) and get the deals that will make your fill your trip without emptying your wallet. Check out the exclusive offers (you really won’t find these ANYWHERE else!) and get the deals that will make your fill your trip without emptying your wallet. Get 60% off a tour RIGHT NOW! No questions asked. There are few light shows that can even compare to the show mother nature can put on (I’m looking at you Las Vegas). Although in comparison, it’s quite unpredictable, which is why capturing an image like this of lightning over Bryce Canyon is so incredible. I love the photographer Stefan Mitterwallner’s comment “A matter of patience and luck.”. Doesn’t that sum it up perfectly? As a photographer you may only get one or two chances to catch an image like this, but when you do it turns into something amazing. Not only it is amazing, but it as showcases to those who haven’t yet visited Bryce, how the trails are laid out, and what to expect. 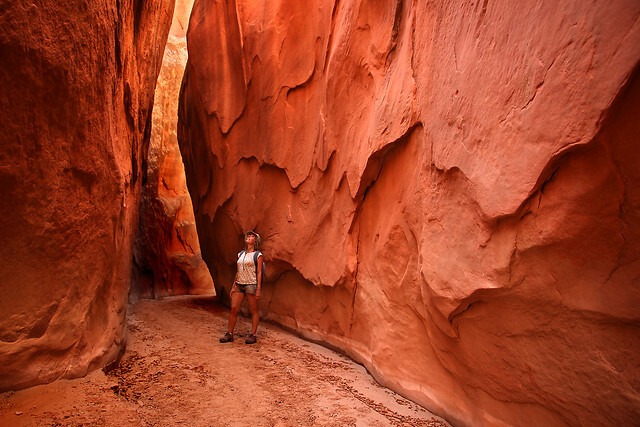 Hiking in Bryce is one of the best things you can do, but some mistakenly get fearful of getting off of the pavement. This image illustrates that you have nothing to be worried about, and that you can find some incredible things as you venture down a Bryce Canyon hiking trail. For those of you who have visited Bryce and hiked the Navajo Loop trail, can you honestly say that without hiking it that you really experienced all that Bryce has to offer? So this is our little plug, when you come to Bryce get out of the car and park it. That’s the only way you’ll ever even get a chance at seeing things like this image offers. And in truth seeing something like this will only be for a brief moment, because we all know how lightning works, but sometimes a brief moment, a flash in the distance is enough to be etched in our memories for years to come. Hunting for deer, elk, black bear and mountain lion on the Aquarius and Paunsaugunt Plateaus. This Big Game hunting unit is most commonly known for its Trophy Mule Deer and its higher quality of the species. The most common time you can view these deer is the first hour of each day and the last hour of light. This is when these animals typically look for food and water, before going for thick cover. Looking near water sources is always a great idea when out scouting for Mule Deer and most Big Game animals during the spring, summer and fall months. Utah’s Division of Wildlife Resources claims that there is around 35 Buck to 100 Does, so there is a great ratio of Bucks as compared to most regions. Hunting on the Paunsaugunt Plateau can be challenging for many reason including the 7,000-9,000 feet (2,100-2,800 m) elevation change. There is a thick Pine, Juniper, and Cedar tree cover that blankets most of the entire unit. With the thickness of cover and the abundance of water sources these animals are in a great survival habitat. There is a couple main water sources that are always a great start for view these animals including Tropic reservoir (on top of the Plateau) and The Sevier River which runs the entire length of the Paunsaugunt unit. This hunting unit because of it elevation averages about 200 inches (5,100 mm) of snowfall per year and has at least 200 days in which the temperatures drop below freezing. What will make your big game hunting or viewing a better experience? First, having the correct equipment, a good pair of 10X40 binoculars with you or spotting scope will help you to not only find these animals, but it will give you a much close look at them. Being pre-paired for all kinds of weather, including, rain, snow, and sunshine will make the game of patients much more comfortable. Do not make it harder than it needs to be, look for animals around water and food sources. There are creeks spread all through the Plateau that run year round. These creeks can be found in almost every Canyon and include such names as; Blue Fly Creek, Blubber Creek, Kanab and North fork of Kanab creek. A vehicle with 4-wheel drive will greatly increase your odds viewing of animals by being able to cover a lot of ground. Most of the dirt roads on the Paunsaugunt are maintained regularly but do to high traffic and weather the roads can get muddy or snow covered in just a few minutes. Another options is to set up trail cameras. Many hunters and guide service are now relying on Trail Cameras to figure out what animals are in the area and get their eating and drinking patterns figured out. These cameras are generally hung on trees near heavily trafficked water and food sources as well as game trails. If you are lucky enough to acquire a Big Game permit through the Utah Big Game draw or landowner tag or action, looking into a guide service is not a bad idea. This is a very tough unit to learn but the rewards of it can make memories for a lifetime! First ask yourself this, am I looking to be entertained or am I looking for things to do in Bryce Canyon national Park? 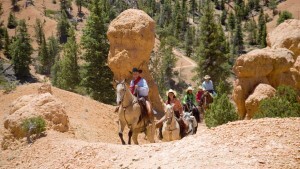 In Bryce Canyon country you have to realize the possibilities and activities are almost endless! If you are planning a trip in the area of Bryce Canyon National Park and you are looking for entertainment, you are in the right spot to make some decisions. South Western Utah holds some nationally recognized entertainment options like the Ruby’s Inn Rodeo days & the esteemed Tuachan Amphitheater in St. George Utah. Bryce Canyon in specific has several options that are very entertaining to all, and hard to choose from. If you are looking for something a little off the beaten path please look no further that all of the activities pages on this very website. You will find everything from scenic drive and overlooks, horseback rides, shopping, four wheeling, ATV tours, biking trails, hiking trails, fishing, golf, rodeo, museums, and many more options! Remember that on some vacations and trips you look for things to entertain you, and then there are those, where you seek out your own idea of entertainment. This just might be that trip. Either way you will find so many things to do in Bryce Canyon that we hope that you can fit it all in. From places to see, and things to do there is something for everyone, and every age, in Bryce Canyon. Here are a few of the aforementioned activities! Things To Do In Bryce Canyon National Park & the Surrounding Areas. Spectacular outdoor musical with a backdrop of red sandstone cliffs reaching 1500 high. Come relive yesteryear with us through traditional songs of the Old West. Hear favorites like Tumbling Tumbleweeds, Cool Water, Ghost Riders, and many more. Throw in some down-home cowboy cooking and some comedy entertainment and you’ll have a night, long to remember. Wednesday through Saturday, Memorial Day – End of August, Ruby’s Inn hosts the Bryce Canyon Country Rodeo every summer. Join the fun and excitement at the Bryce Canyon Country Rodeo. Watch the bronco busters and cowboys display their skills as they perform in this western competition. This is one event you won’t want to miss! The rodeo is held nightly, Wednesday – Saturday, through the summer at Ruby’s Inn Rodeo Grounds. Surround yourself with the beauty of Bryce Canyon National Park. 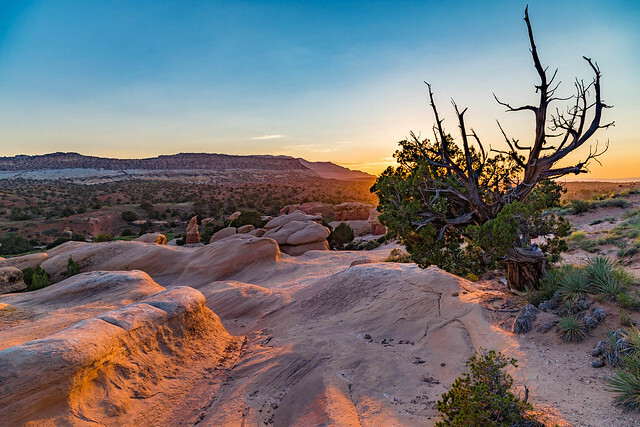 Lose yourself in the orange hoodoos and stunning vistas. Each year, over 1.5 million people visit Bryce Canyon, taking delight in the fantastic scenery and recreational opportunities. Hiking, Horseback Riding, Biking and ATV Tours are popular activities year round! Cross-country Skiing and Sleigh Rides are also available in Winter. Here you will find the best Bryce Canyon can offer in Restaurants, Guided Park Tours, Hotels, Bryce Canyon Activities and so much more! Let us help you plan your next visit to Bryce Canyon and get a complete experience tailored to you. There are no shortage of activities in Bryce Canyon, and planning your national park trip should be part of the fun! We have compromised lists of activities and places to stay and eat in hopes of making your vacation planning stress and worry free. Some things in life are worth racing the sunrise for, and seeing the orange growing drip castles are one of those things.